Isaiah and his mom Michelle Rider. Source: Team Isaiah Facebook page . 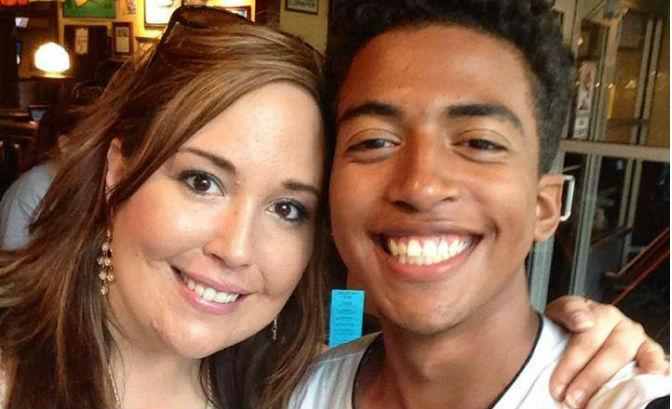 Illinois continues to “terrorize” Missouri resident Isaiah Rider and his family, even after he turned 18 last August. The family had hoped that they would leave them alone, but that has not happened. Their story has not been in the news lately, but their medical kidnapping story is anything but over. Isaiah’s mother, Michelle Rider, thought that things would settle down after an appellate court said that Illinois DCFS should not be involved after Isaiah’s 18th birthday. They thought their nightmare with the Child Protective System was finally over. However, they have learned that the Cook County Juvenile Court, with the same judge and same players, continues to hold hearings about Isaiah. Usually he and his mother are not informed or invited to these hearings, some of which are off the record, even though it is their lives that are being decided by this entity in the state they only visited for a needed surgery for Isaiah 2 years ago, for his neurofibromitosis, a painful condition in which tumors grow on his nerves. Illinois courts and DCFS to date has not done anything to address Isaiah’s sexual assault that happened under their care while he was in a foster home in a violent Chicago neighborhood  for 6 months. The crime was reported to them more than a year ago. No investigation has reportedly been done, and no arrests made, even though Isaiah was able to describe his attacker with identifying details. Nor has Illinois DCFS reportedly dealt with any of Isaiah’s very real medical issues. They continue to hinder his medical care, instead accusing his mother of Munchausen by proxy, and saying that Isaiah’s medical problems are in his head. 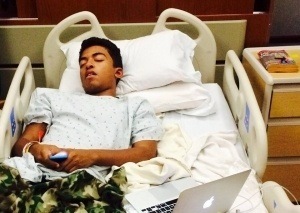 Since Isaiah turned 18 the family thought the appellate court was getting Illinois DCFS out of their lives, but the Riders were unable to find any hospital or doctor locally that would help him. They were forced to go out of state for care. Once they found out of state care, doctors found that his medical issues have a very real physical basis. Isaiah truly has a rare, complicated medical condition involving neurofibromitosis, numerous tumors up and down his spine, and polycystic kidney disease. He has had several incorrect diagnoses in the past, besides the DCFS involvement, which have hindered him from getting the help he truly needs. Source: Team Isaiah Facebook page . Doctors examined his leg that had been partially amputated several years prior, and they removed 7 nerves in the leg. Some of these were completely filled with tumors. One specialist later reportedly examined the records and said that his was the largest tibial nerve he had ever seen. Because of all the tumors, it looked to him more like a bone, not a nerve. Then, Michelle told him their story, that this is exactly what DCFS and Lurie Children’s Hospital of Chicago accused them of. 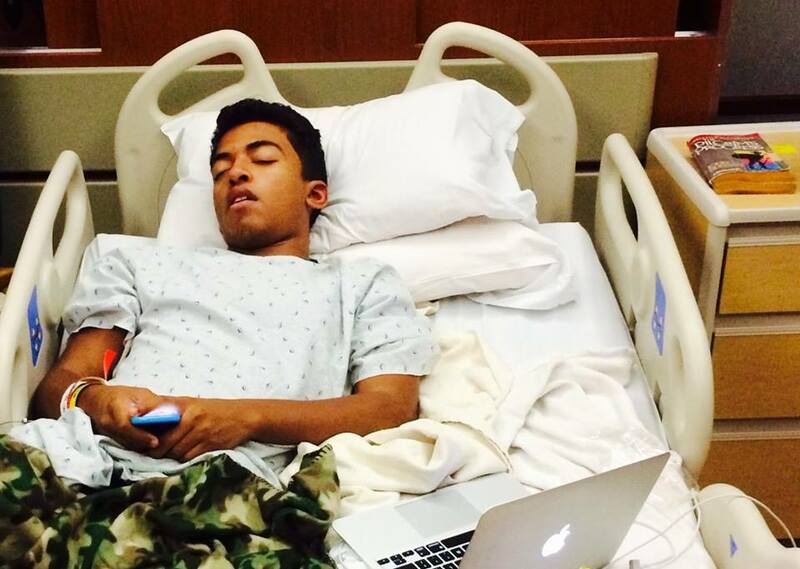 It is apparent to the doctors attending him now that his pain and his condition is very real. Isaiah still has tumors and he still has pain, but he is now receiving ongoing medical care from a highly regarded institution. However, as recently as 2 months ago, they have learned that the Cook County, Illinois, judge has threatened to bring him back to Illinois. Their own state of Missouri has washed their hands of the case and are no longer involved. The interstate compact expired on Isaiah’s 18th birthday, and the family doesn’t understand how Illinois even has any jurisdiction. Isaiah signed a document stating that, as an adult, he no longer wants to be in DCFS care. Even so, the family reports that Illinois DCFS has continued to send social workers to their homes in Missouri to check on them. Their harassment continues. Michelle has learned that the state of Illinois continues to receive federal Title IV-E money for her son. Could this be the reason why Illinois won’t let go of their case? Friends, we have those same questions. Isaiah and his mom and family have those same questions. We would like answers, we would like those in authority to answer these for us. It is so “Over the top”, most people are not able to wrap their heads around this situation. It’s truly almost unbelievable. We believe that is part of their strategy. What seems like a nightmare or unreal to to many continues to be a reality for this family. In addition to Isaiahs REAL, Ongoing health needs! This family has enough on their plate. All those involved in this made an already very complex and difficult situation and burdens this family had to deal with nearly impossible. Comment on this article on MedicalKidnap.com .